02L / 20R (paved) 2424 x 36 ft.
02R / 20L (turf) 1000 x 30 ft.
due to trees at end of Ry 02. 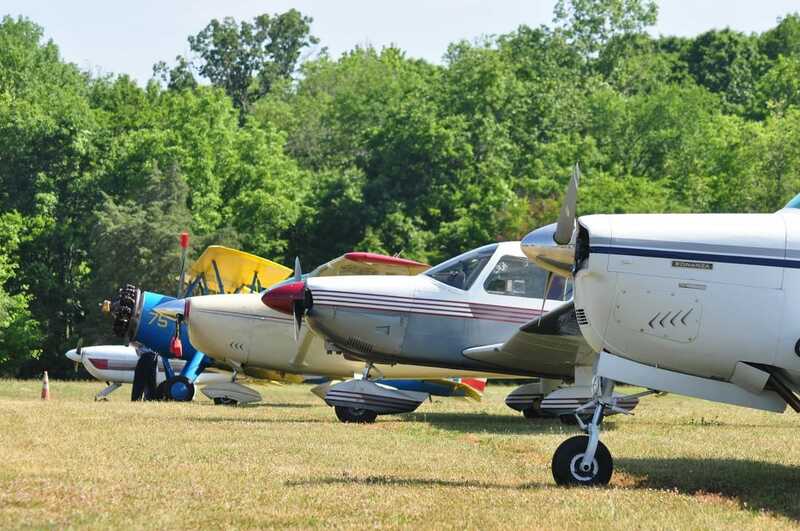 Expedite take-off on Ry 20, as pilots approaching to land on 20 may not see planes at the north end because of trees. GlobalAir airport resource information, with links to area fuel prices, etc. 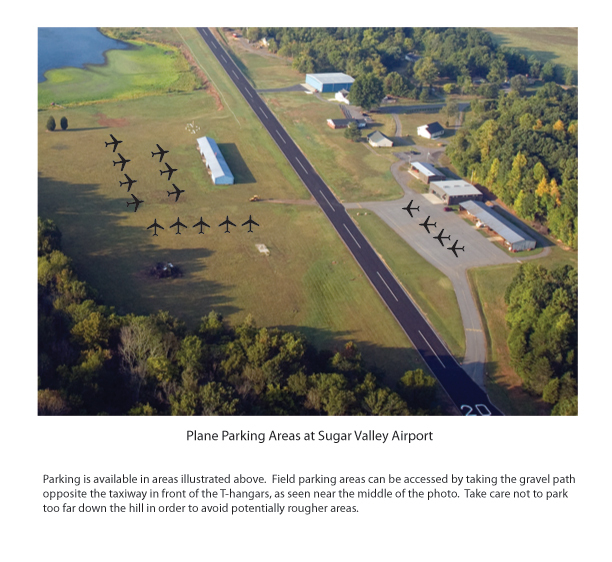 Sugar Valley offers open T-hangar and enclosed hangar spaces. Availability is limited. Please inquire.